Hello LAKE FOREST! Did you know that the first federally-mandated emissions control device was introduced in the 1960's? The Positive Crankcase Ventilation valve, or PCV valve, has been installed in CA vehicles since 1964 and represents the first legislation by the United States government to regulate harmful emissions as well as to improve performance in the country's vehicles. The PCV valve, like most working parts on a vehicle, will wear out over time. Usually it simply gets gummed up. Preventive maintenance, including routine oil changes at West Coast Rovers in LAKE FOREST, will extend the life of the valve, but eventually it will have to be replaced. A sticking PCV valve won't allow gases to circulate properly, which can increase pressure in the crankcase. Over time, that pressure will lead to oil leaks. Your vehicle manufacturer recommends that a PCV valve be replaced every 20,000 to 50,000 miles (32,000 to 80,000 kilometers), depending on the vehicle and LAKE FOREST driving conditions. It's an inexpensive repair but may not be included in the maintenance schedule in your owner's manual. 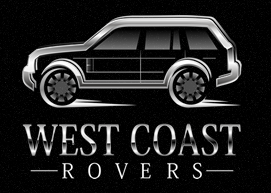 So if you're looking for auto advice about the PCV valve, you may have to ask our pros at West Coast Rovers. Taking care of our PCV valve protects the environment in CA and improves vehicle performance. It's just part of good vehicle care for LAKE FOREST drivers and a way all of us can do our part to improve the world we live in.